In January, Sunday Book Reviews took a look at the rebirth of a beloved children’s book series, when “Best Friends” became “Timber Ridge Riders.” The first book, Keeping Secrets, is an absolutely fantastic read, fast-paced, funny, and real: three components of the kind of great horse books that can captivate young and adult readers alike. Author Maggie Dana definitely knows her game. Now the second book is out, and I’m happy to report that Racing Into Trouble is just as exciting, clever, and realistic as its older sibling. And it delves into deeper emotional territory than Keeping Secrets, even as the rivalries between the girls at the riding stable grow more dangerous, even explosive. In Racing Into Trouble, the focus shifts more strongly to Holly, who is struggling, two years after a devastating car accident that killed her father, to regain the use of her legs. Meanwhile, Kate, after her initial reticence, is growing more and more obsessed with the horses: taking responsibility for feeding and turn-out, organizing riding lessons, and, most importantly, falling deeply under the spell of a troubled new horse, Buccaneer, who becomes her all-consuming interest. But for Holly, who can only ride when there are helpers available to get her up onto the barn’s ancient lead-line pony, Kate’s sudden success in the stables is salt in the wound. Kate came to Timber Ridge to be Holly’s companion, after all. But it seems like Kate has turned more into a groom and trainer’s assistant than Holly’s best friend. When Kate rushes home with the news that Holly’s mother, Liz, has okayed her to ride Buccaneer outside of the arena, the splintering of their friendship seems inevitable. 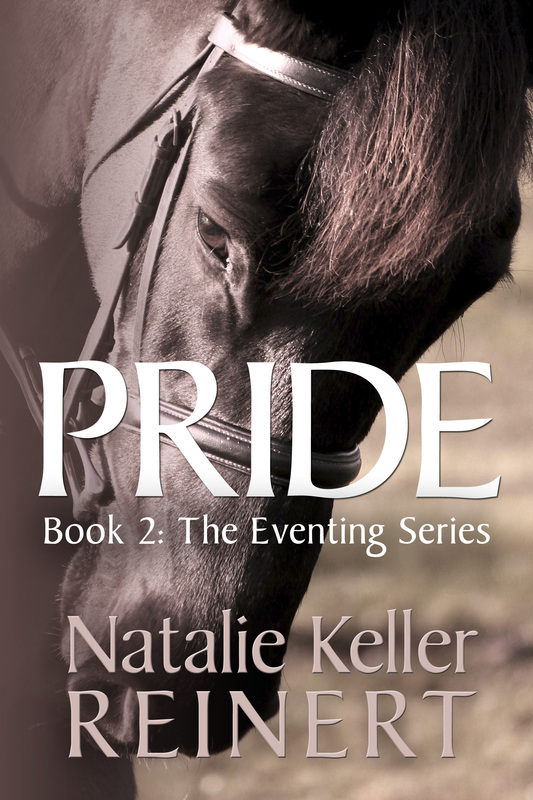 Being excluded from the equestrian world is torturous to Holly, and she is trying to think of other things, anything but horses; Kate can think of nothing else. The light left Holly’s eyes. “Never mind,” she said and jerked her wheels so hard that they made skid marks on the vinyl floor. The gap between the two girls is suddenly yawning wide, and as barn rival Angela brings in a new recruit to assist her in her general bad behavior, which revolves around discrediting Kate and making Liz look bad, Kate finds herself alone in the stable without an ally, while Holly retreats deeper into a world of “girly-girl” things that don’t require the use of her legs. One of the aspects I love about the Timber Ridge series is the accurate depictions of tween/early teen behavior. Kids make irrational decisions; they analyze situations and come up with insanely off-kilter potential results; they get themselves into ridiculous scrapes although they had the absolute best intentions possible. And when their scheming goes wrong and it all seems so obvious, they just clam up and get themselves into more trouble. But Kate was just doing the best she could, poor girl. You’ll be rooting for Kate in this book, even as you groan over her (very) bad decisions, but you’ll also be struck by the little journeys into Holly’s psyche, as she deals with life in a wheelchair, watching her friends continue to succeed on horseback, and maybe, just maybe, experimenting with boys. Oh man. That reminds me. ADAM. What is going to happen with this boy Adam? The next book in the series, Timber Ridge Riders: Riding For The Stars, cannot come soon enough! Terrific review – I *love* Maggie Dana and her books! Natalie … I’m still reeling over this fabulous review. Reviewing a book the way you do takes time and talent and a ton of thought. Not only do you have to read a book, you then have to think about what appealed and what didn’t and why. You have so perfectly put your finger on the pulse of this story. I mean, bang on. Dead center. You’ve honed in on the girls’ friendship and conflict and brought it all to light. You’ve encapsulated the heart of this story far better than I could ever hope to. Maggie is back doing what she loves (and knows) best. And about time, too! Exciting reading for the young lover of horses (or the ‘tween reader who will love horses after reading Maggie’s lovely stories). It’s always been amazing to me that Maggie truly ‘gets it’ vis-a-vis girls and their relationships with each other, boys, parents, and, of course, horses (the later is not so surprising as Mags is an expert horse-woman herself and has been for most of her life). Much success with your latest book, Maggie. It’s going on my gift list for grandkids and I will make sure that all of my friends know where they can get this book (and the next 20, I hope). I’m so thrilled to read this fabulous review! I’m well acquainted with Maggie Dana’s captivating writing, but I was in the dark about this series. I’ve JUST ordered “Keeping Secrets” and will order “Racing Into Trouble” the moment it’s released! Thanks for the heads up! Congrats to Maggie for doing it again. Keep on writing. It is so enjoyable reading your stories. Well done, Maggie. I am a new reader of the series, and I can’t wait for “Riding for the Stars” to come out. We liked this alot. Keep going Maggie, you’re getting better and better.